I'm willing to be The One for the next game, unless someone else wants the job, but of course we shouldn't start another game before this one finishes. That gives us some time to discuss practical matters. The game just finished worked pretty well, but maybe people have suggestions about moderation/voting procedure, time control, etc. The best time to suggest rule changes is between games, so we shouldn't squander the opportunity to fix anything that is broken. Good idea but first a detailed analysis of thie current game should be published. I honestly don't think there is much of anything to be fixed. The time control worked out well. The voting/moderator system worked out nicely. The next Mob game would work fine if we left our rules and system the same as they are now. The only thing that is going to be broken for the Mob is having Fritzlein as an opponent rather than contributor. The one issue we did discuss was the use of computers. I agree that the Mob should be able to use computers. I would prefer that the One abstain from them. Had chessandgo partnered up with Bomb, I would have said the game was more like "Two vs. The Mob." I like the romantic idea of a single person competing against the combined force of all things exterior to himself. If some will argue that making computers legal for the One eliminates the concern for cheating, I would point out that he is still on the honor system with regards to consulting other humans. I don't think the concern that giving computers to the Mob is unfair is an issue in this game, as giving an unfair advantage to the Mob is what this game is all about. Bots are, strictly speaking, just other members of the Mob. However, it is not something over which I'm going to argue tooth-and-nail. I'd rather let the One use computers. They are strong at completely different tasks complementary to people. I'd prefer to see him win by strategy rather than lack of time for extensive move by move calculations. Of course they are of limited use most of the time, but sometimes they help and they can give clues for ideas. So I argue "one vs many" is fine, but it should be "one+tool vs many+tool". Just because computers are "complementary". My experience with the current time setting is positive, though maybe something similar to 8-10 days per move and, let's say, 15-18 days in reserve, would serve us slightly better. The only thing that is going to be broken for the Mob is having Fritzlein as an opponent rather than contributor. Well, I expect that Jean will step into Karl's shoes and become our new "godfather" . I think the process used for this game worked well and I can't think of anything I would change to try and make it better. The moderation and voting worked well. The time control seemed like a good compromise. Any faster and the mob would probably have a hard time making up it's mind on a move, any slower and there is too much risk of the mob's interest wandering away. One thing I would like to encourage is for "The One" to keep notes as the game progresses so they could be posted after the game and compared to what the mob was thinking. I believe Chessandgo may have done this for the latter part of the current game but I'm not sure. Moderating the last game wasn't very hard. If anyone else would like to try it, please make your interest known. If there are multiple candidates, we can vote. Otherwise I would be willing to moderate again, but I don't have a need to monopolize such things. Does C&G know it's a forced goal? Maybe he is someone who trusts computer analysis and would be glad to not have to think about this games anymore?! Yet that's not us who should tell him so I think. Who should tell him? I suppose he's spending many hours now as he finds all moves lose. I'd personally be annoyed if people let me do that, since I suppose he also has better things to do. For the next game we should find out in advance whether The_One prefers to be informed about forced losses. Since we haven't, I think we should just play this one out, Jean is obviously willing to give plenty of time to this game, so I'm sure he won't mind one more move. It's also always possible that clueless has a bug, am I right that it is the only bot that has found the win so far? As moderator I can put messages into the TheMob game. I rarely do so because I don't want to poison the game by revealing what we are thinking. In that light, I won't tell him we think we have forced win unless most of TheMob commands it. From the way we're moving, I suspect he already knows what we think. In his position, I would prefer to finish the game without comment and decide on my own when a win is forced. On the issue using computers, I'm not in favor of the opponent using them, but I won't throw a fit if we vote to allow it. I doubt chessandgo is spending hours analyzing losing moves in The Mob game. He also hasn't moved for days in my Postal Mixer game against him, a game where he had basically conceded defeat and started moving quickly. 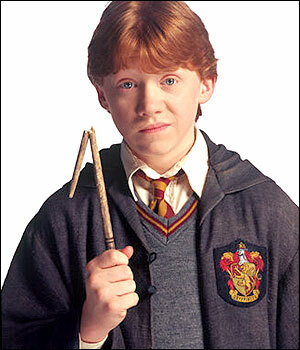 If I'm not mistaken he has also paused in his Postal Mixer games against Adanac and RonWeasley. I suspect chessandgo has just been very busy with real life this week. As for the use of computers, if I am a Mob member I will vote that both the Mob and the One should be allowed to use computers. If I am the One, I will expect the Mob to use computers, but respect the group decision to run on wetware only if that's how the Mob decides, and for myself I won't consult computers even if the Mob gives its permission. Given the opportunity, I would fly solo. I think the fact that the Mob won this first game naturally makes us want to even things out a little bit by weakening the Mob slightly and/or by strengthening the One slightly, but I take this one game as scant evidence for superiority of the Mob. I think it easily could have gone against us. We certainly don't have the level of evidence needed to conclude that next game won't be a fair fight unless the One starts using computers and/or the Mob stops. Indeed, although I believe that computers strengthened us on average during this past game, there's still a slight possibility in my mind that using computers actually weakened us on average by distracting us from thinking more strategically. You have to compare the time we spent examining computer moves against what we would have produced spending that time to think on our own. If I am the One, I won't be afraid of the added power the Mob gets from consulting bots. In fact, I might be chuckling up my sleeve if I see the Mob make a bot-like move; it would tend to make me more confident rather than less if I thought the Mob were under the sway of bot advice. If I were the One, the crowning argument against consulting bots myself would be psychological. Playing unassisted would increase the glory for me if I won and decrease the shame if I lost. I would only turn to computer help if I thought I couldn't win otherwise, and that's not what I think (yet). If I were a Mob member, the crowning argument for using bots would be social. There are people who will participate more if bots are allowed, particularly bot developers who are curious what their own bots think. If allowing bots draws more people into even looking at the position and thereby increases participation, it makes the game more social, which is the whole point of a team game. When you consider the Mob game as a team sport, any added perspective is a good one. One thing I forgot to put in my last post, since the world championship is going to start soon, I think the next game should be delayed till after the WC completion. This will allow everyone to start the game with their full attention. I doubt chessandgo is spending hours analyzing losing moves in The Mob game. Hmmm, today chessandgo moved in all of his postal games except the Mob game. Maybe he really is spending a lot of time on this game, which would strengthen the case for us to inform him of the bot-announced forced win as a courtesy. Since the game is apt to take two years or so, we can hardly help colliding with at least one World Championship cycle. Somehow the Mob game just now completing made it through the schedule conflict all right. I vote we start again as soon as the present game completes and we can agree on conditions for the next one. I'm not saying this just because I want to have the Mob disorganized and pressed for time while the game is still in the opening ; I actually think that team games are apt to be so slow in the playing that we shouldn't dawdle getting them started, or I won't get to see very many before I'm too senile to participate!